Janet Yellen sat for her second day of her semiannual questioning before Congress on Wednesday, where she faced tough questioning from House Republicans on banking regulation. The most important exchange: Republican Rep. Bill Huizenga asked Yellen if she thought that eliminating "unreasonable regulations" would have led to a "faster and steeper recovery." 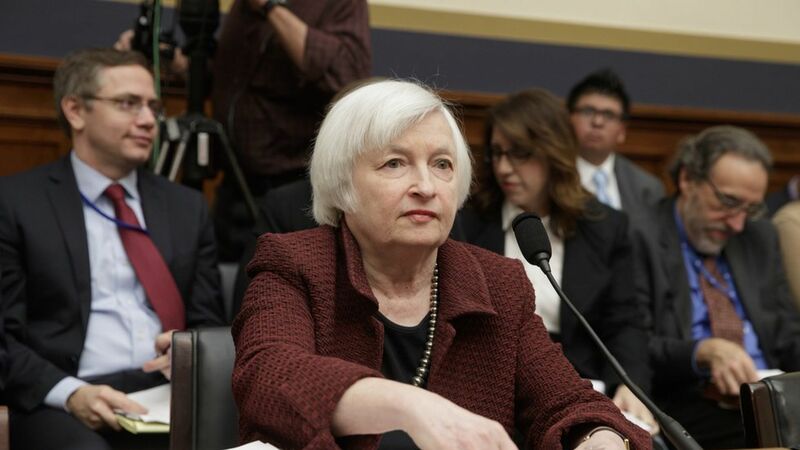 Yellen said that she didn't agree with that statement, a rare assertion of ideology from the Fed Chair. Why it matters: Janet Yellen is clearly committed to the idea of post-crisis regulatory reform, and will fight pressure from outside the Fed to ease bank regulations. Republicans however, are hoping that there is enough time in this Congress, after healthcare and tax reform, to turn to a significant Dodd-Frank rollback that may include extra provisions that would limit the Fed's powers and independence.